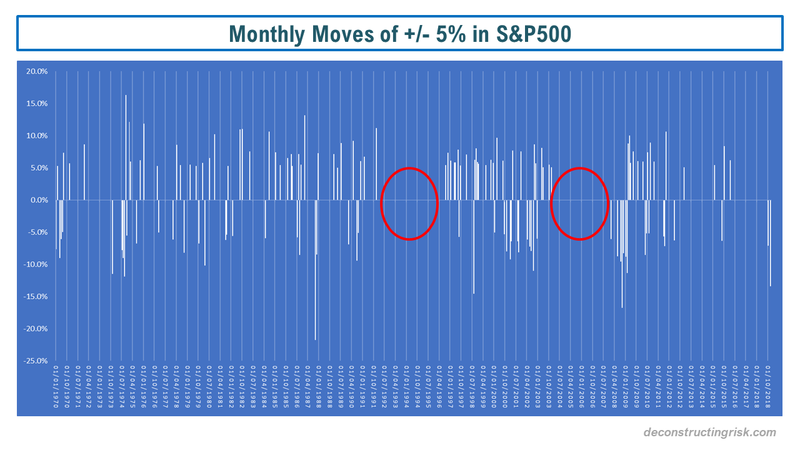 The increase in corporate profits has been one of the factors behind the market run-up (as per posts such as here and here from last year). 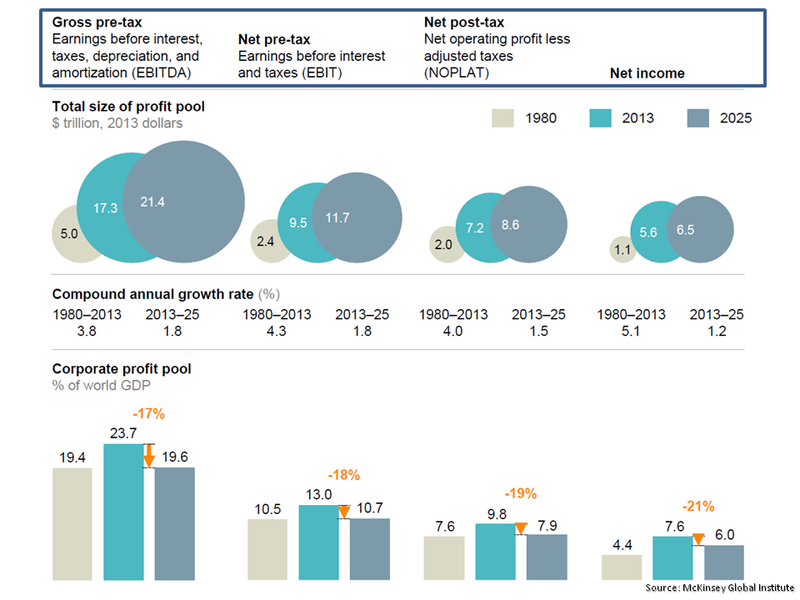 McKinsey have a new report out called “Playing to win: The new global competition for corporate profits” that predicts a decrease of the current rate of 10% of global GDP back to the 1980 level of below 8% by 2025. 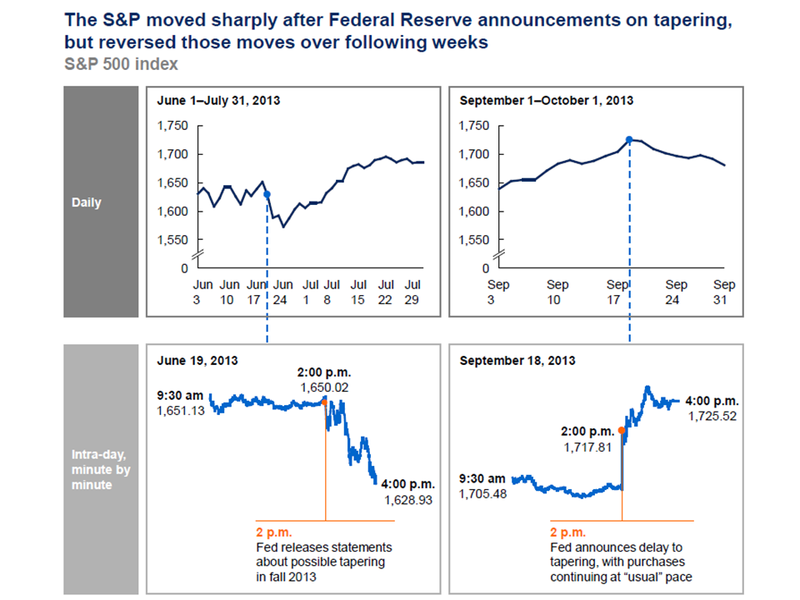 Interesting graphs from the report included those below. 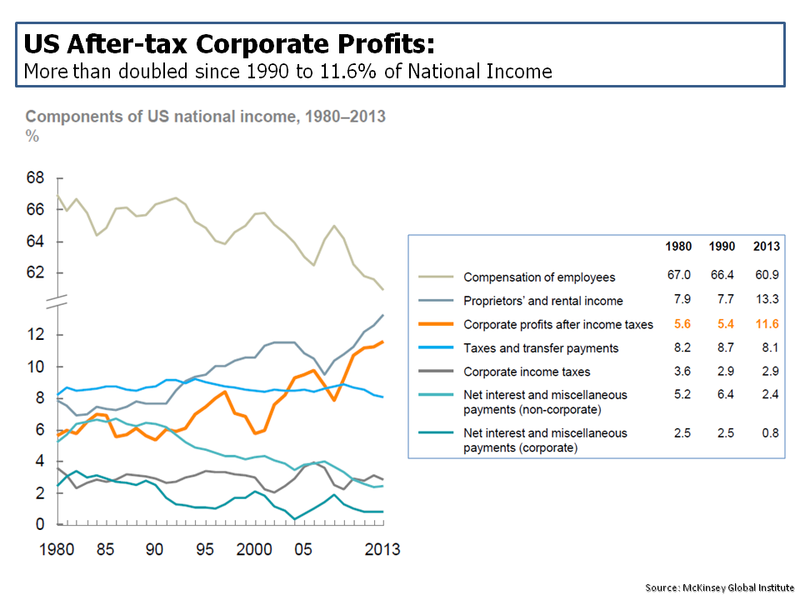 One shows the factors contributing to the rise in US corporate profits, as below. 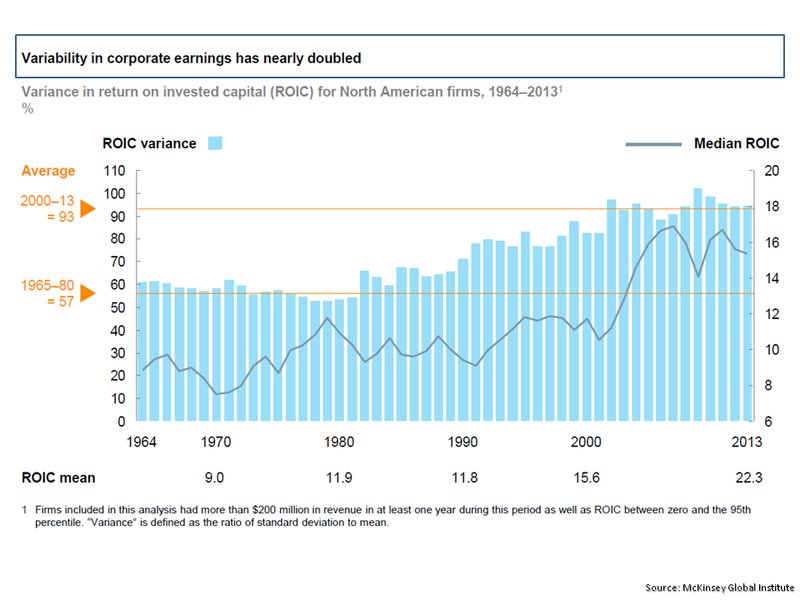 Another graph shows the variability and median return on invested capital (ROIC) from US firms from 1964 to 2013, as below. Another shows the reduction in labour inputs by country, as below. 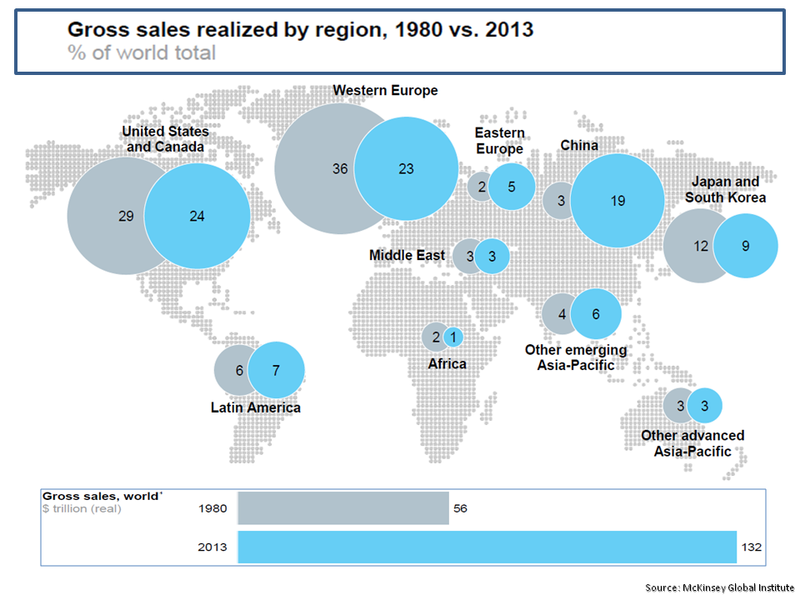 Another shows the growth in corporate sales by region from 1980 to 2013, as below. 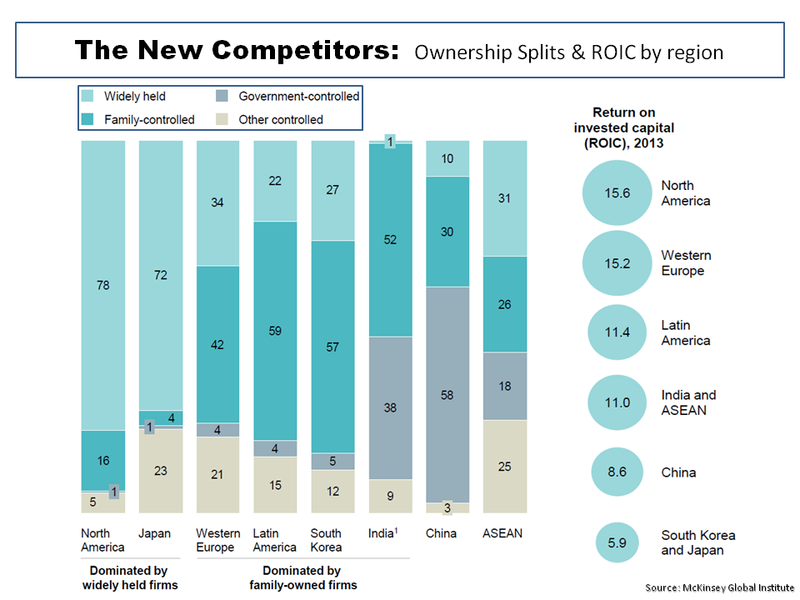 Another shows the ownership and the ROIC profile of the new competitors, as below. 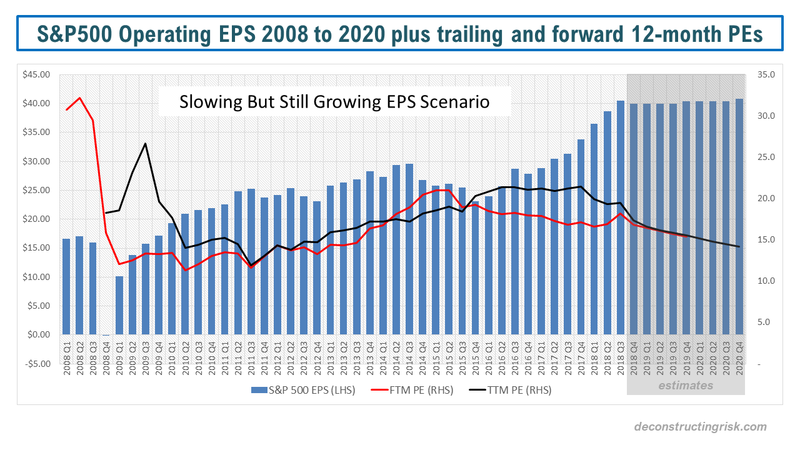 And finally the graph below shows McKinseys’ projections for EBITDA, EBIT, operating profit, and net income to 2025. 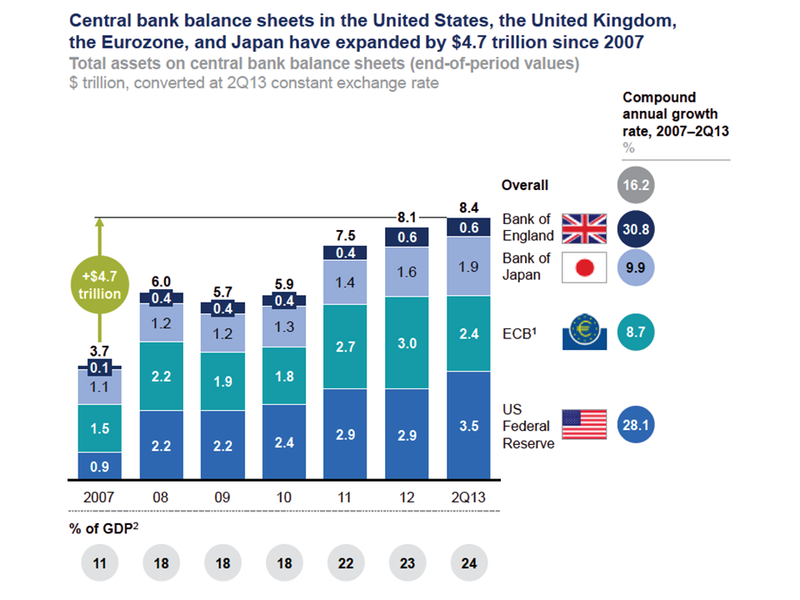 McKinsey had an interesting report on the impact of QE and ultra low interest rates. 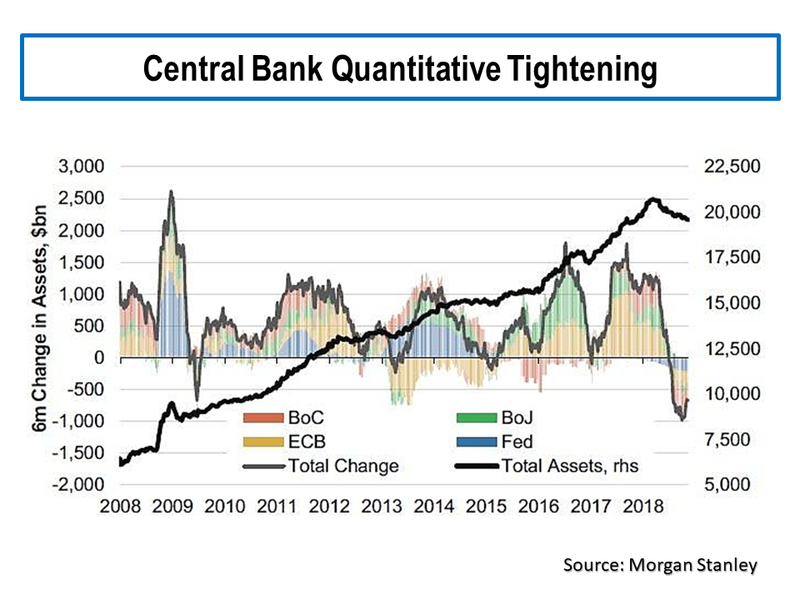 There was nothing particularly earth shattering about what they said but the report has some interesting graphs and commentary on the risks of the current global monetary policies. 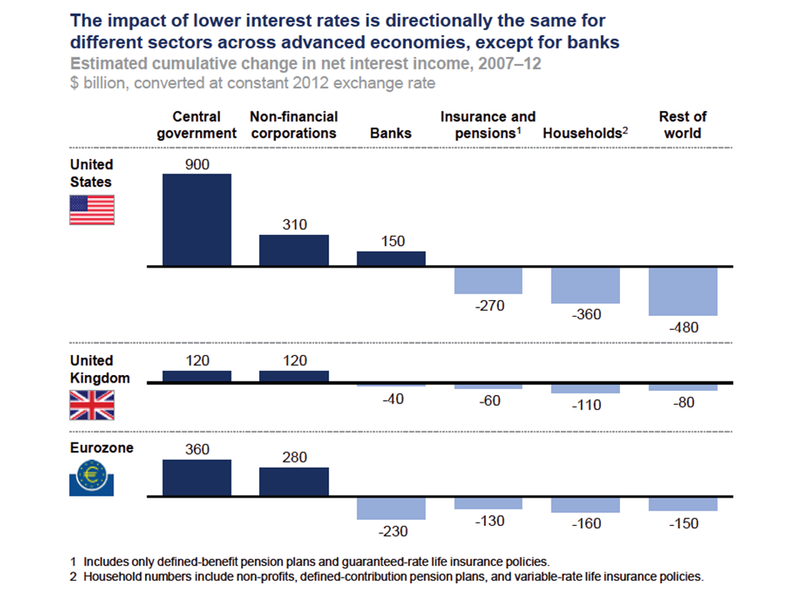 By the end of 2012, governments in the US, the UK, and the Eurozone had collectively benefited by $1.6 trillion (through reduced debt service costs and increased central bank profits) whilst households have lost $630 billion in net interest income (impacting those more dependent upon fixed income returns). Non-financial companies across the US, the UK, and the Eurozone have benefited by $710 billion through lower debt service costs. This boosted corporate profits by about 5%, 3% and 3% for the US, UK and Eurozone respectively. 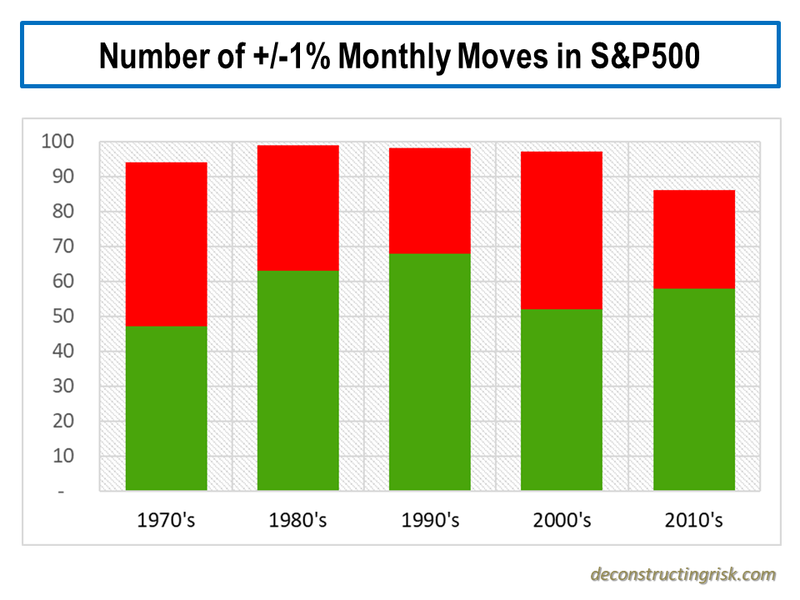 The 5% US boost accounted for approx 25% of profit growth for US corporates. Effective net interest margins for Eurozone banks have declined significantly and their cumulative loss of net interest income totalled $230 billion between 2007 and 2012. 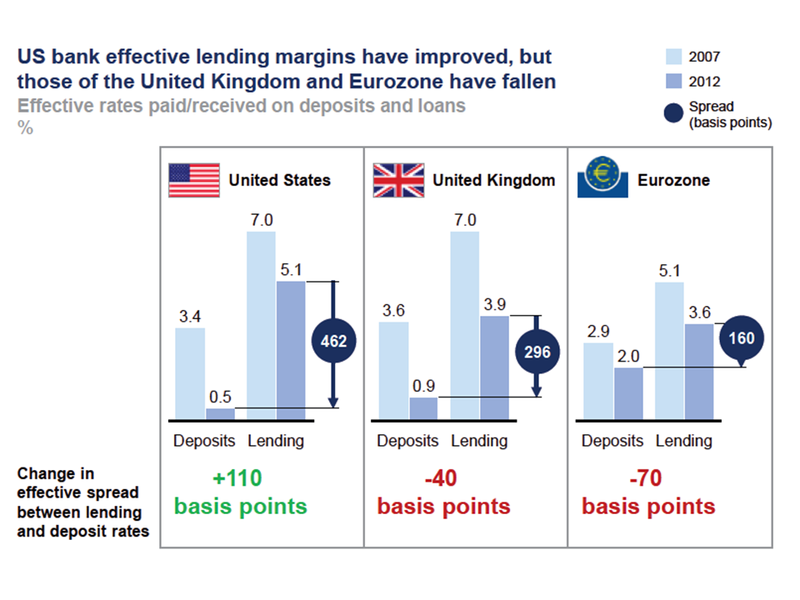 Banks in the US have experienced an increase in effective net interest margins by $150 billion as interest paid on deposits and other liabilities has declined more than interest received on loans and other assets. The experience of UK banks falls between these two extremes. Life insurance companies, particularly in several European countries where guaranteed returns are the norm (e.g. 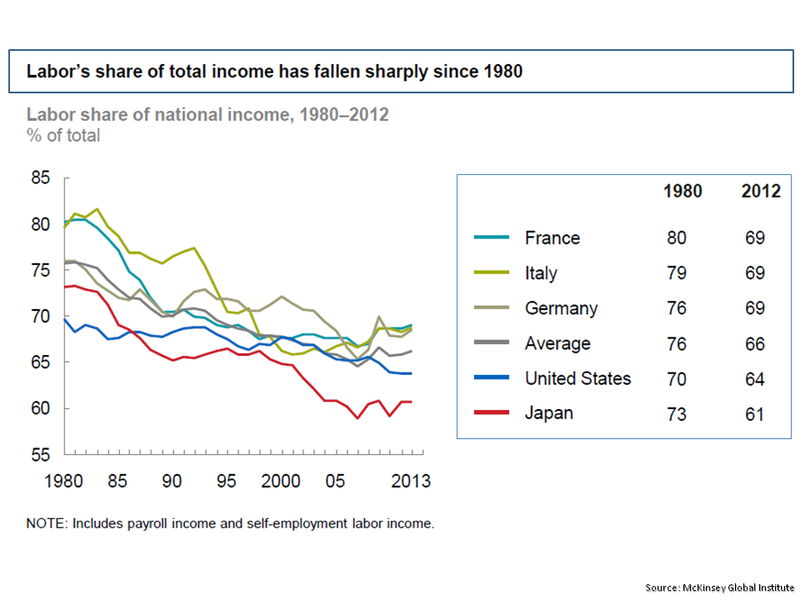 Germany), are being squeezed by ultra-low interest rates. 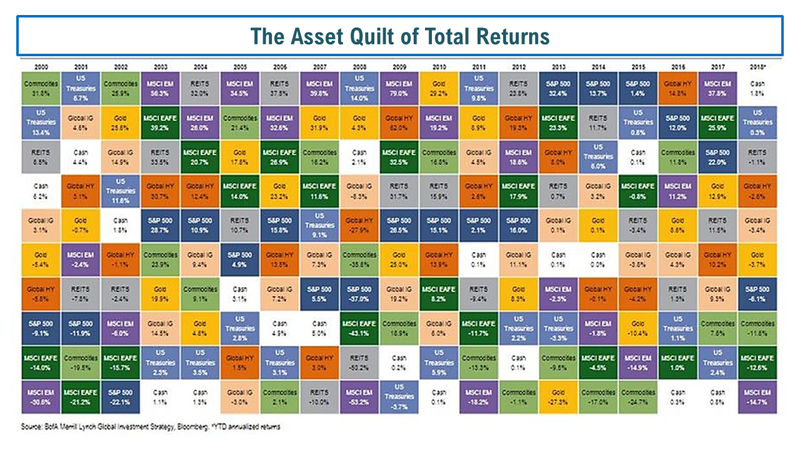 If the low interest-rate environment were to continue for several more years, many insurers who offered guaranteed returns would find their survival threatened. 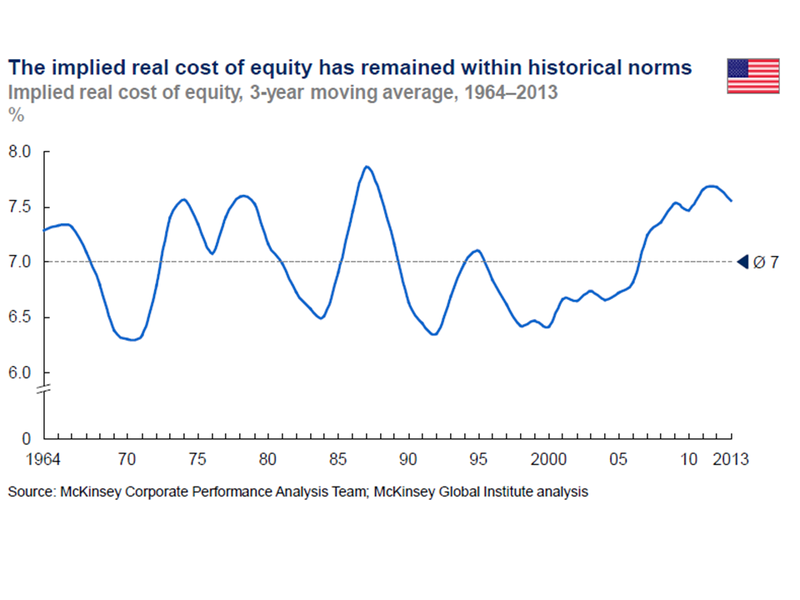 The impact of ultra-low rate monetary policies on financial asset prices is ambiguous. Bond prices rise as interest rates decline and, between 2007 and 2012, the value of sovereign and corporate bonds in the US, the UK, and the Eurozone increased by $16 trillion. 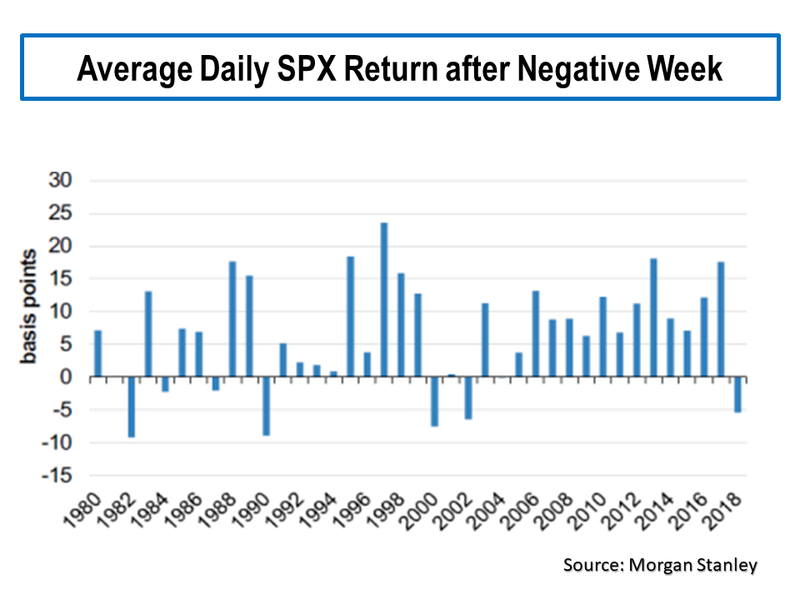 Little conclusive evidence that ultra-low interest rates have boosted equity markets was found. At the end of 2012, house prices may have been as much as 15 percent higher in the US and the UK than they otherwise would have been without ultra-low interest rates. If the current low rate environment were to continue, McKinsey highlight European life insurers and banks as being under stress and believe that each will need to change their business models to survive. Defined-benefit pension schemes would be another area under continuing stress. A continuation of the search for yield for investors may lead to increased leverage (and we know how that ends!). The report highlight the average maturity on sovereign debt has lengthened with 5.4 years, 6.5 years, 6 years and 14.6 years for the US, Germany, Eurozone and the UK. Higher interest rates will obviously mean higher interest payments for governments. 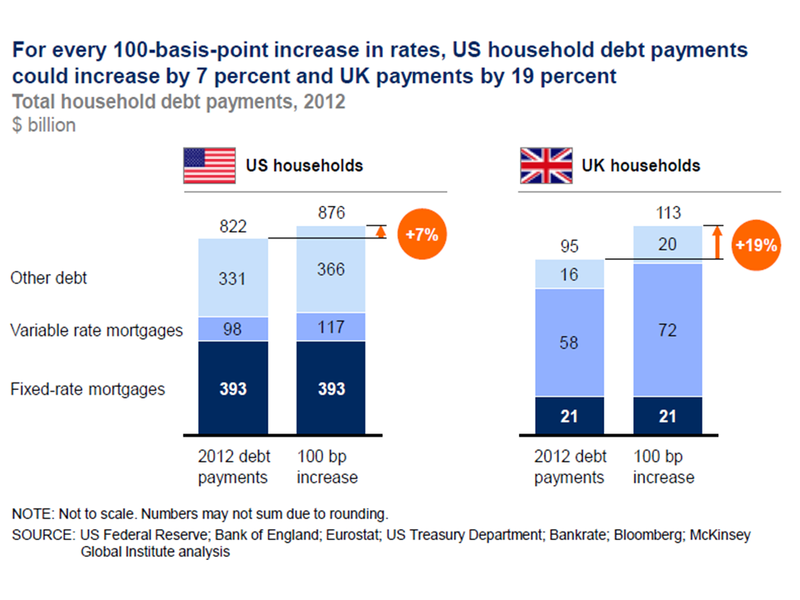 A 3% increase in US 10 year rates would mean $75 billion more in repayments or 23% higher than 2012. If, as seems likely, rates increase in the US first, the impact of capital outflows on other governments could be material, particularly in the Eurozone. A resulting Euro depreciation is highlighted (although I am not sure this would be too unwelcome currently in Europe). Mark to market losses on fixed income portfolios will follow. Some, such as many non-life insurers have purposely run a short asset:liability mismatch in anticipation of rates increasing. Others such as life insurers or banks may not be in such a fortunate position. Hopefully, the impact of improved economies which is assumed to have accommodated the rise in interest rates will solve all ills.